Michael D. Wild is the managing partner of Wild Felice & Partners, PA and a leader in his community. He serves on the Boards of Directors of 2-1-1 Broward, HANDY, ARC Broward, Boys and Girls Club of Broward County and the NSU Ambassador Board. He also chairs the Endowment Committees for ARC Broward and 211 Broward, Chaired the March of Dimes Signature Chef Gala, the 14th Annual Joint Tax and Estate Planning Seminar and the 211 Broward Making Real Connections Breakfast. 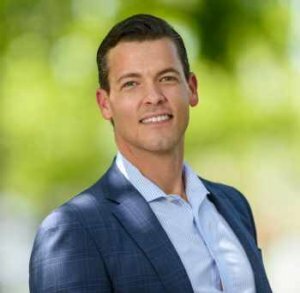 Michael was named Small Business Person of the Year for the City of Plantation, nominated for Man of the Year by the Leukemia and Lymphoma Society and named one of Gold Coast Magazine’s Top 40 Professionals Under 40. He has also been listed in the Wall Street Journal as one of South Florida’s Top Attorneys. 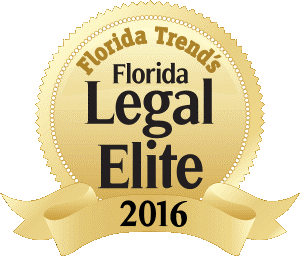 Michael has been recognized by Super Lawyers magazine multiple times as a “Rising Star.” This prestigious designation, selected by other lawyers in Florida, is bestowed upon less than 3 percent of all attorneys each year and Michael is one of only two Rising Star Estate Planning Attorneys in Broward County. 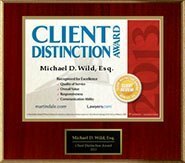 Michael is designated with an “AV® Preeminent Rating” by Martindale Hubbell. An AV® certification rating is the highest rating provided by Martindale-Hubbell – a testament to the fact that his peers rank Michael at the highest level of ethical standards and legal ability, based on legal knowledge, analytical capabilities, judgment, communication ability, and legal experience. Michael was admitted to the Florida Bar in 2006. Prior to obtaining his law degree from the University of Florida – Levin College of Law, Michael earned his B.A. in Political Science, with a minor in Sports Management, also from the University of Florida. In addition to earning his undergraduate and law school degrees, Michael has worked as a Financial Associate with Alliance Bernstein and as an Operations Assistant with the Miami Dolphins. With a genuine enthusiasm for his work, Michael is a frequent speaker to advisors and clients on the subjects of estate planning, wealth transfer, probate administration and asset protection. He prides himself on implementing a holistic approach to planning, treating his clients like family and working with them instead of talking at them.